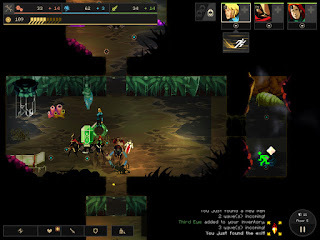 Dungeons of the Endless from Amplitude Studios, is the new iOS port of the popular rogue-like strategy game. 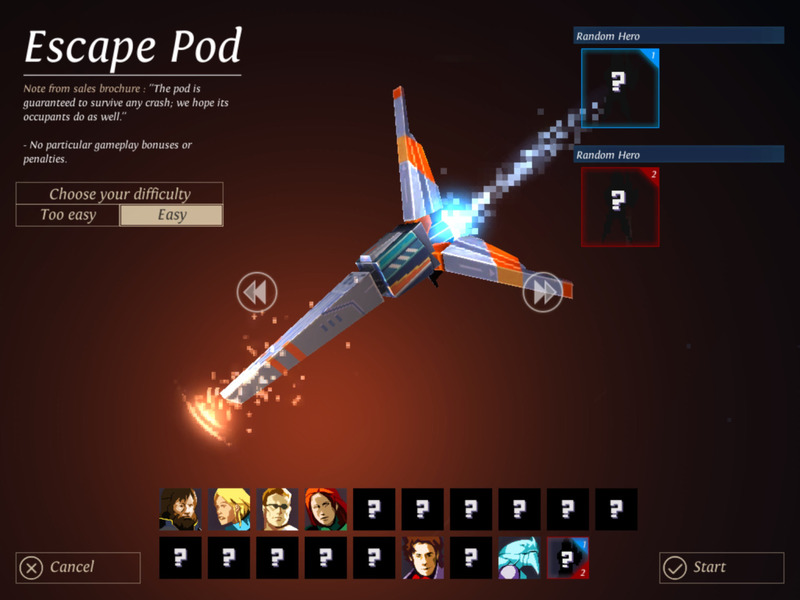 In DotE, your space faring heroes have crash-landed their escape pod and will need to fight their way past dangerous obstacles and hostile hordes to achieve their freedom. 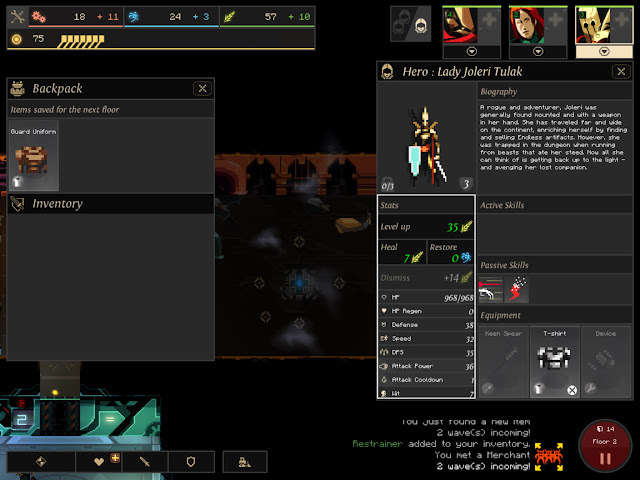 Players select two heroes to begin the game. You may not be able to tell from the pixelated portraits, but two of the potential starting characters are women and there are more lady space warriors to be found and unlocked in the escape pod dungeons as you go through the game. The basic resources for survival are science, industry, and food. With science, you’ll be able to research new technologies and use it to your advantage in game. DotE relies on a wiki here, as it’s pretty hard to tell what benefits a mechanical pal or what a dust field generator confer. And in a punishing rogue-like, players aren’t able to experiment and discover these powers organically. You’ll also need the wiki to figure out which weapons, armors, and devices are most desirable as well as how best to use each character’s special abilities. Each room contains random, pixelated art of alien blossoms, glowing slime, broken crystals, or other space debris, and a random chance of having a reward, like extra resource points, helpful items, or even enemies. One of those found items was a copy of The Hitchhiker’s Guide to the Galaxy—a nice nod for fans of other ridiculous sci-fi adventures. 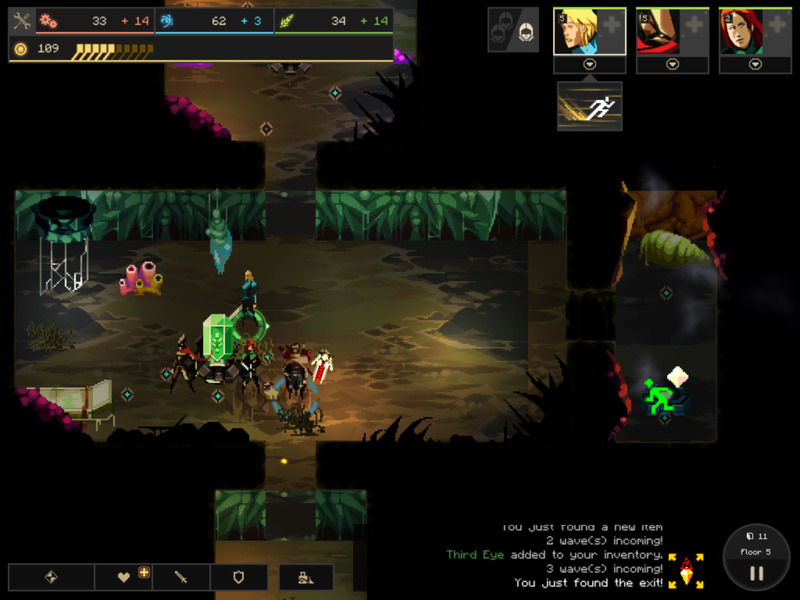 Send your heroes to loot everything worthwhile, while avoiding the bad… just kidding. A word of caution: There is no avoiding the BAD. This is a rogue-like! 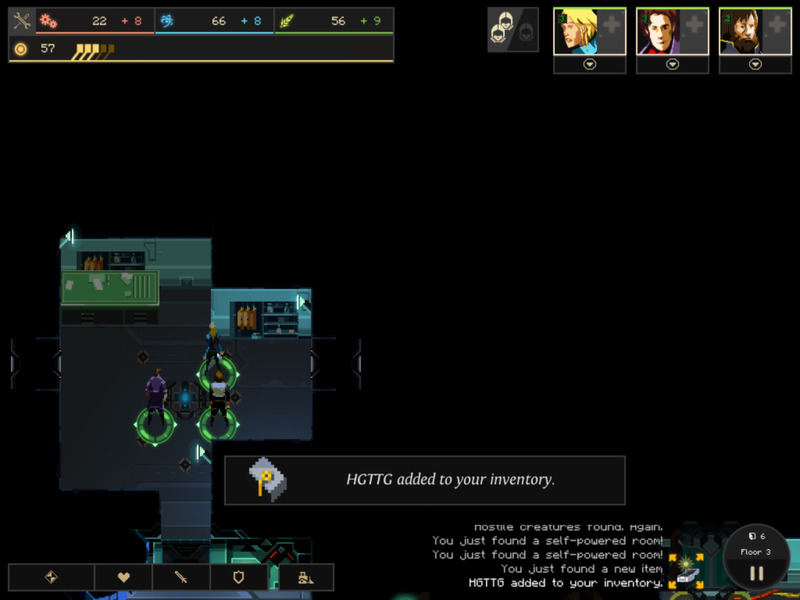 I always love seeing space opera themes, pixel art, and careful resource management in games, so DotE was an easy sell for me. And yesterday, I got so caught up in defeating waves of hostile aliens on my crashed ‘pod that I missed my stop on the train. I can’t give a mobile game any higher praise than that!